Lola Cleaners is a full service, no holds-barred cleaning company offering you a top quality cleaning service of your choosing – call us today on 020 3743 9100 to speak to our advisors. We deliver tenancy cleaning services that can be generalised or specified according to your individual cleaning needs, and our service is available to tenants renting all kinds of properties irrespective of size and location. Our cleaning operatives have seen and done it all and we are so good at cleaning, that it’s only right of us to share our services. We can help you with day to day cleaning duties including hoovering, dusting and window cleaning, intense and heavy duty work like oven cleaning and bathroom cleaning, and our cleaners are able to give you very specialised cleaning services such as leather cleaning for your three piece suite, and carpet and curtains cleaning amongst other things. Many of our tenants call us at times of urgency and for that reason we always have cleaning operatives available to deal with stained carpets and last minute cleaning. 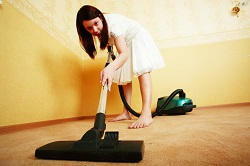 Some of our landlords want us to complete an end of tenancy clean and that is why we can be called out at short notice. All our cleaners are uniformed and well spoken, and we bring with us a catalogue of cleaning products and machines to enable us to do the job we are asked to do as thoroughly as you could hope for. Contact us on 020 3743 9100 to book our cleaning services and you will not be disappointed! Our cleaners are very skilled and highly trained and that’s what makes us better than many other cleaning companies in the region. We can deal with cleaning on any day of the week due to the flexible shifts we work and whether it’s one off cleaning or a regular cleaning service you need from us, we have the staff, the equipment and the availability to meet those demands. There is no typical customer that we work for and we have a variety of cleaners with different specialties to meet the demands of our clients. Whether you are a family looking for your household jobs to be done regularly, a student wanting your kitchen and bathroom cleaning on a frequent basis, or a landlord seeking professional cleaners to clean stains and discolouring out of carpets, rugs and settees, we have the cleaning expertise and the materials to deal with your problem. Our tenancy cleaning company offers a very high standard of cleaning to every single customer and we don’t slack off in any way, shape or form. If you have a seriously soiled oven we won’t rest until all the blackened shelves are clean and until the base and sides are squeaky clean. We work tirelessly to battle stains in upholstery, loosening their hold and then forcing them out, and we don’t just clean the bits you can see when we do your hoovering and dusting – if cabinets and beds need to be moved to get into the corners, that’s what we will do. Lola Cleaners is simply too good a cleaning company to miss. We have trained and experienced cleaners available whenever you need them and we can talk through your options if you call us on 020 3743 9100 and give you a free quote over the telephone. Our prices are all-inclusive and there is no hidden charge when you instruct us. We are amongst the very cheapest in the country and can fit into most household budgets – call us today to speak to our staff and find out more!